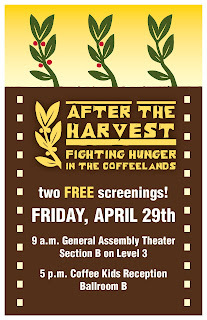 After the Harvest: The Fight Against Hunger in the Coffeelands: You're invited to the premiere of “After the Harvest” at SCAA 2011! 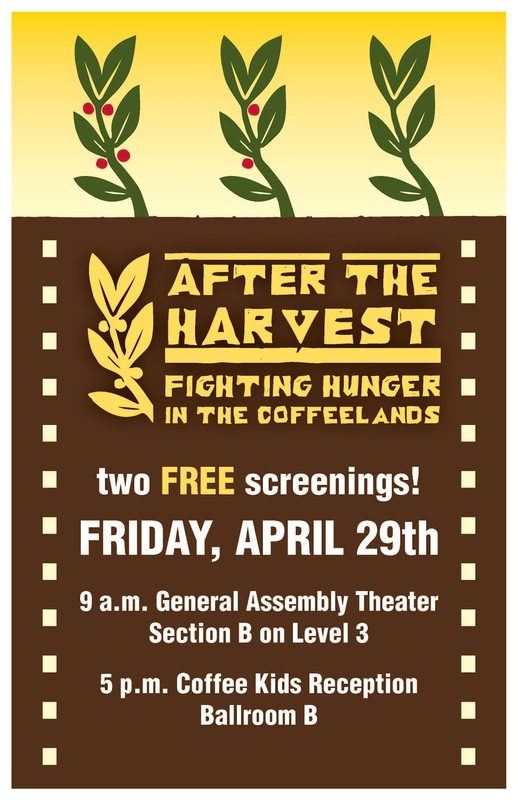 You're invited to the premiere of “After the Harvest” at SCAA 2011! We’re happy to announce that the film is narrated by Academy Award-winning actress Susan Sarandon, a long-time supporter of Heifer International and its fight against world hunger. Coffee professionals interested in joining an industry-wide initiative to support efforts aimed at alleviating hunger during the “The Thin Months” are urged to attend one of the film screenings or indicate their interest online by using the contact form located in the Contact Us section of this website. DVDs of the full 20-minute film will be available from Coffee Kids (Booth 625) and Café Femenino (Booth 1143) at the SCAA Expo, and upon request through AfterTheHarvest.Org's Contact Us form. DVDs requested via this form will be shipped after May 1, 2011.